With a little toddler running around now, our household is even more busy. She definitely keeps me on my toes and I try and make sure to keep her busy throughout the day. 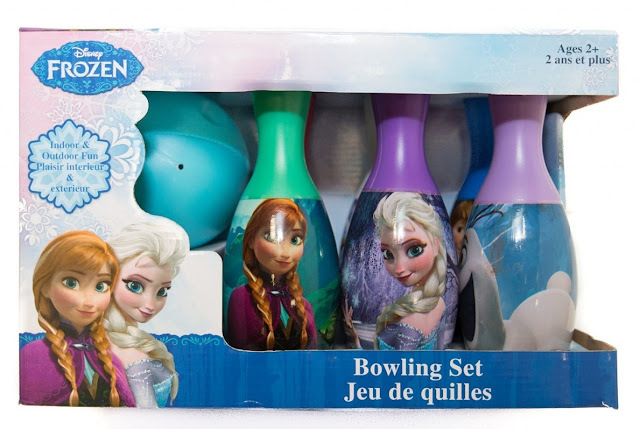 Lately, we've been having a lot of fun with What Kids Want Frozen Bowling Set. This fun bowling set is perfect for both indoors and outdoor play. We've been having a blast with it outside on warm days the last couple of months and when it's a bit chilly outside, she loves to play with the bowling set in our kitchen while I'm cleaning. This set helps both of us as she has something to occupy her time with and I can get a few things done around the house. 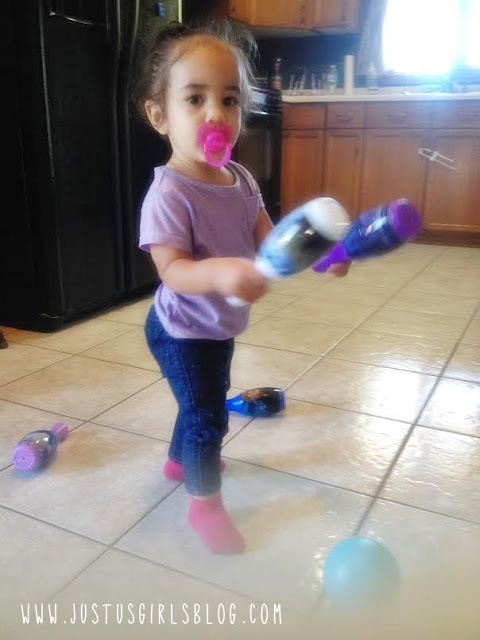 Plus, I love playing with her too, as does her older siblings. Who doesn't like to bowl? The set comes with the bowling ball along with six pins with your child's favorite character on the pins. From Frozen to Teenage Mutant Ninja Turtles, boy or girl, your child will love playing with this bowling set. This set retails for $14.99. It's inexpensive and lots of fun and with the holidays coming up, this would be a great to give a little one. For more information about What Kids Want Frozen Bowling set and other toys, be sure to head over and visit www.rptoys.ca. Disclosure: All opinions are my own. 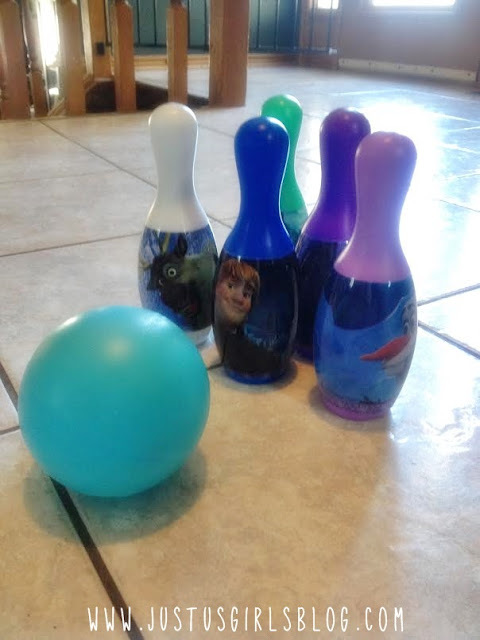 I received What Kids Want Frozen Bowling Set at no cost for the purpose of this review. No other compensation was received.